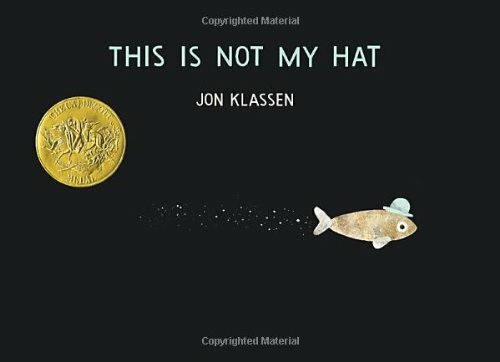 Klassen, Jon. This is Not My Hat. Massachusetts : Candlewick Press, 2012. A tiny fish learns the hard way that thievery is wrong, and you can’t get away with your wrongdoings. This book is a personal favorite of mine. I first read it when I was shelving books. As soon as I was done reading it, I automatically took it to my co-workers and had them all read it too. The humor in this book is so morbid, but very funny. The story just flows and keeps you hooked, wanting to find out what happens next. Paired with the illustrations, this book is a page turner that will have you in stitches at the end. This is one of those books that you have to share with others. With a good moral to the story, and the ability to keep kids and adults both captive readers, this book is a 5/5 for me. This is a great book to use to teach children that stealing is not okay. Engage students in law and morals. Ask questions about what is and isn’t right and about illegal activity.